4 The Office offers over 40,000 items in our online store. 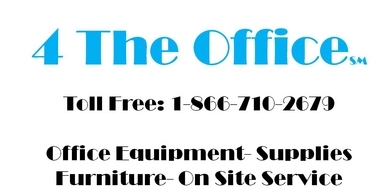 Office Supplies, Ink & Toner, Office Furniture, File Cabinets, Office Chairs, Cleaning & Break Room Supplies, Shredders, Binding Machines, and Technology items at great prices. All orders over $50.00 will receive Fast Free Next Day Delivery anywhere in the United States. All orders placed by 4:30 PM E.S.T. ship same day. Contact us to open an office supplies account and begin shopping today. We appreciate your business. Once you log in, be sure to Enter "BSN" in our search bar for great pricing on Business Source Products, our Proprietary Brand Office Supplies. Set up an account now, click here! Be sure to view our Quarterly Flyers below, simply click on the flyer to open.